Help Center OrganizationsHow do I manage the groups in my organization? Looking to manage the groups in your organization? 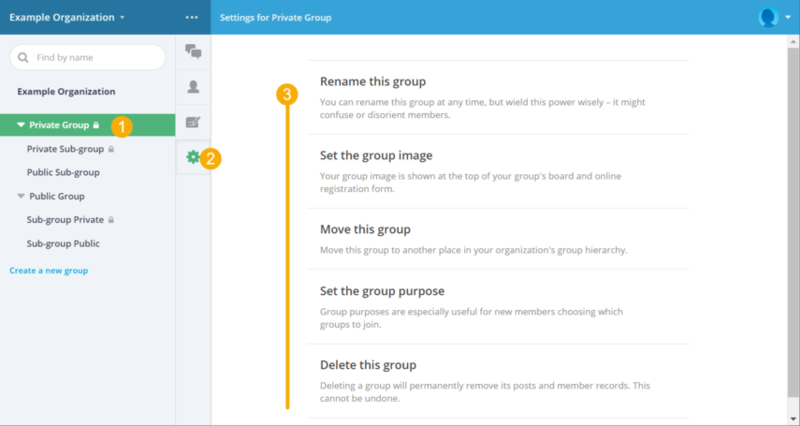 Easily view, edit, or rearrange your groups from the groups browser. Prev: When would I want to create two separate organizations? Next: How do I create a subgroup in my organization?